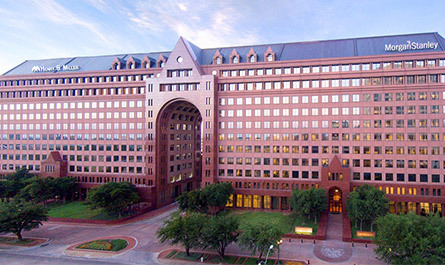 The Marcus & Millichap Dallas office specializes in the brokerage of all types of commercial real estate, including apartments, retail, office, industrial, self-storage, seniors housing, hospitality, single-tenant net leased, land and manufactured home community properties. The Dallas office enjoys a high record of repeat business from private and institutional commercial property investors, a testament to their success in maximizing value for Marcus & Millichap clients. The Dallas office also provides investment real estate financing through Marcus & Millichap Capital Corporation financing experts located in the office. Clients also benefit from the research offered by the office's investment professionals.